As I turned the pages of an in-flight magazine, my eyes fell upon a quote by David Tennant of Dr. Who fame: “Soho is a symbol of inclusivity, and a symbol of London: dazzling, and a bit grimy, and a bit wonderful.” I’ll admit, Soho was an area of London that I’d heard of, but I never really knew where it was or whether it was worth visiting. But after reading that quote, I knew it was a place I wanted to get to know. So a couple of weeks later, I headed to the capital to find out how to spend a day in Soho, London. Where is Soho in London? Located in the heart of central London, the neighbourhood of Soho is found between Regent Street, Shaftesbury Avenue and Oxford Street. You really couldn’t get more central if you tried. And that’s what makes it a great place to base yourself, and with plenty of hotels in Soho to choose from, it’s easy to do too. But please don’t just sleep here. Soho is ripe for exploring all on its own. 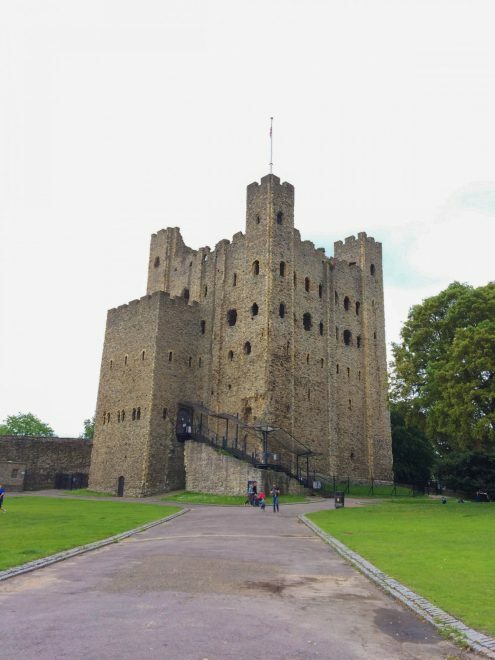 There’s plenty to see and do, and it’s also home to some of the best food I’ve ever found in London. 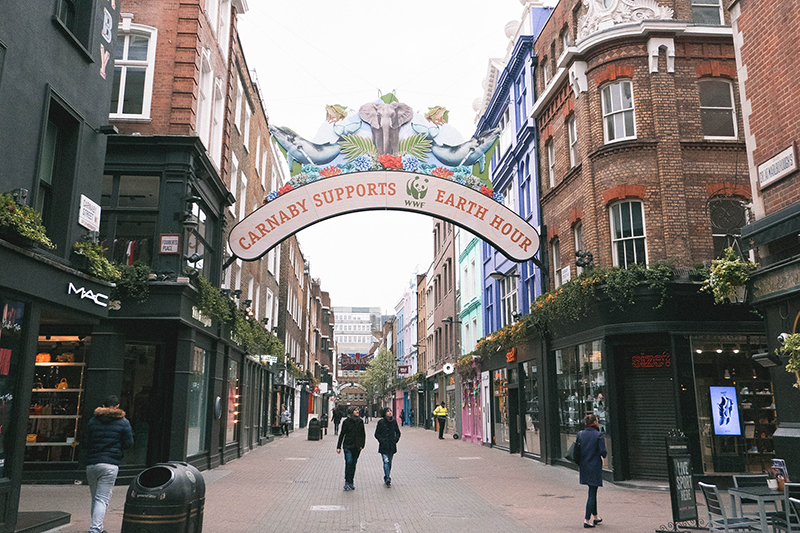 If you arrive into Soho from Oxford Circus, you’ll quickly stumble across Carnaby Street – the beating heart of Soho. 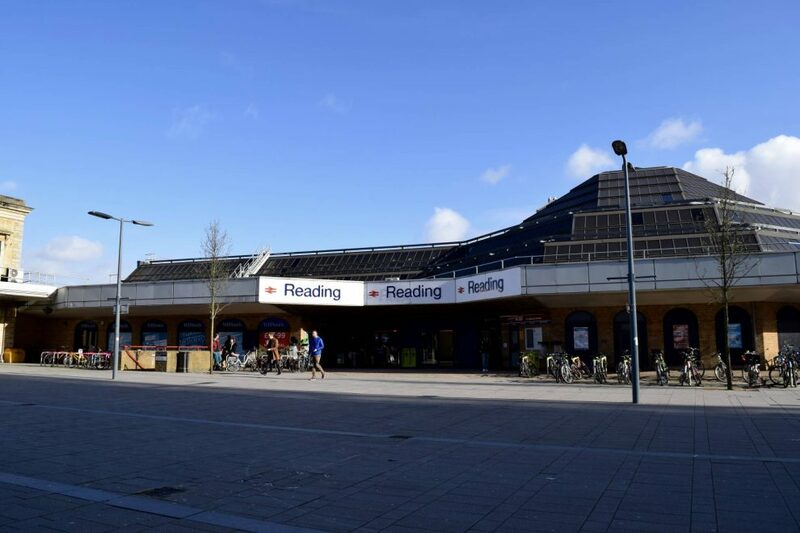 It’s a paradise for shoppers with numerous designer shops and chain shops, but plenty of independent stores and boutiques too. For souvenirs unlike anything you’ll find in the tat shops along Oxford Street, head to ‘We Built This City’ just off Carnaby Street. 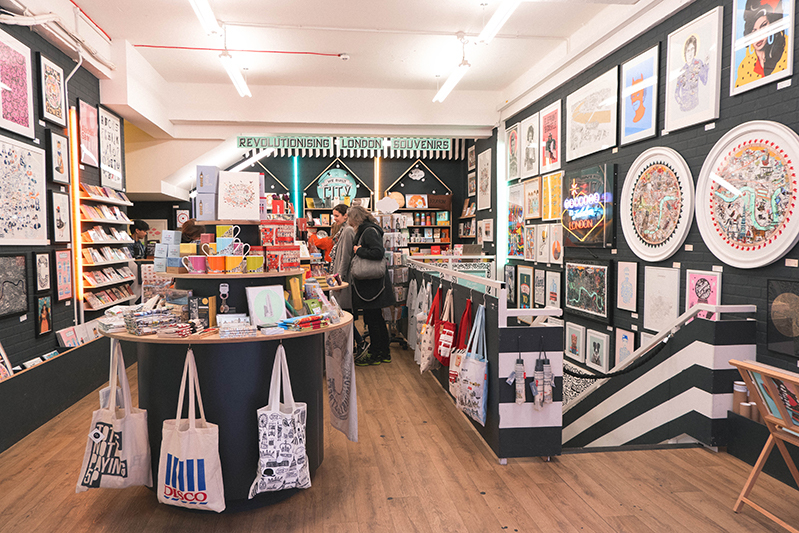 They sell all manner of tote bags, mugs and prints, and there’s not a plastic double decker bus in sight! 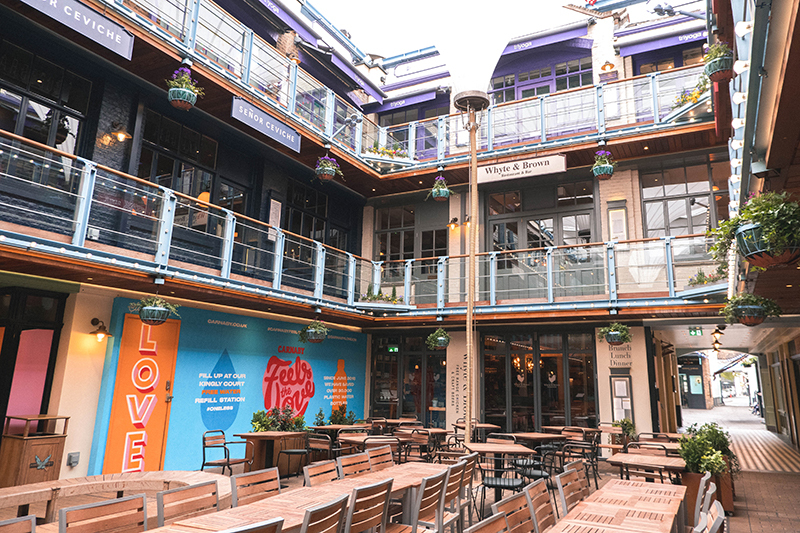 Once you’ve built up an appetite for breakfast, you’ll be spoilt for choice in Soho, not least in Kingly Court – a food court just off Carnaby Street. Inside, there are three whole floors of cafes and restaurants, from the traditional Whyte & Brown, to the Middle Eastern delights of The Good Egg. Sadly, most restaurants in Kingly Court didn’t open until 11am, which is great for those staying in Soho with a hangover, but not good for us who wanted to make the most of our day in Soho! 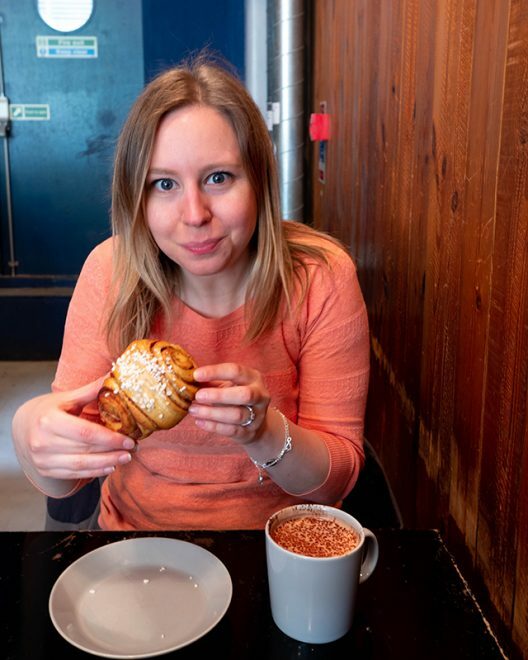 After heading south, we ended up at Nordic Bakery – just off Golden Square. 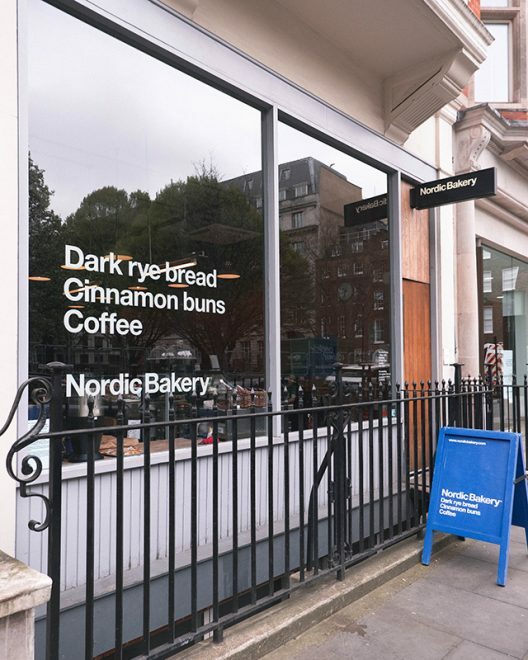 Nordic Bakery is a laid-back Scandinavian style cafe, with wood-panelled walls and exposed ceilings. Locals come here for the cinnamon buns, and they stay for them too. 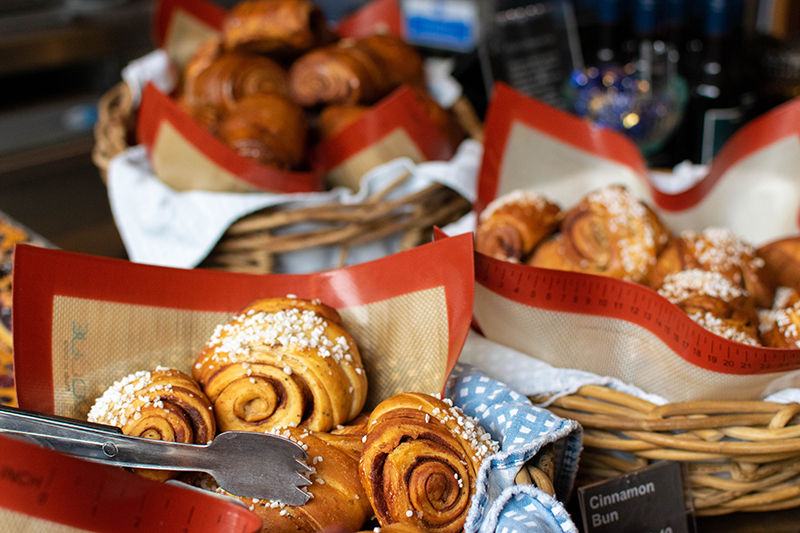 There are four different cinnamon buns to choose from – the original, the vegan, the mini and the rustic – all are rich, tasty and completely fresh. We enjoyed our buns with a mug of creamy hot chocolate, and then felt ready to continue our Soho adventure. 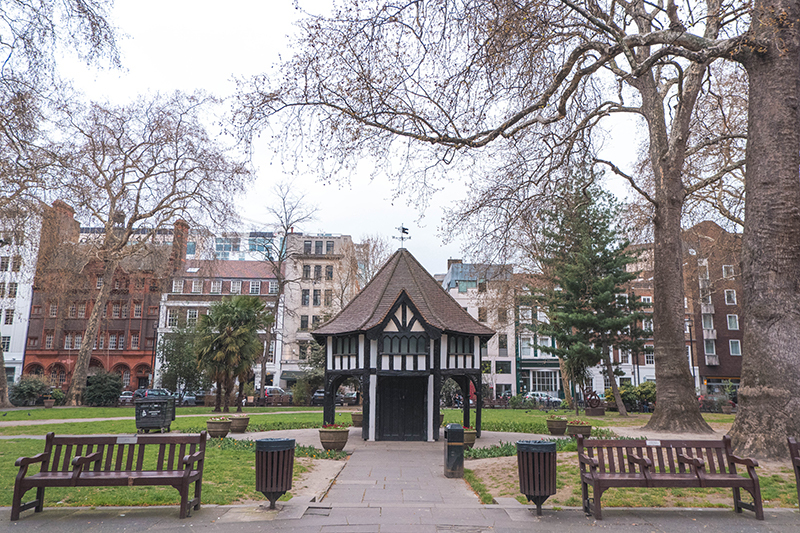 On the eastern edge of Soho, Soho Square Gardens is an oasis of calm in bustling Soho. It’s just steps away from Oxford Street, but it feels like a million miles away. There was barely anyone around on the Sunday morning we visited, so the gardens were incredibly peaceful. They’ve changed a lot since they were first built in the 17th century, with a central fountain making way for the mock-Tudor gardener’s hut that’s there today. There are even air raid shelters dating back to WWII underneath the grassy areas, though sadly we couldn’t find a way to visit them. 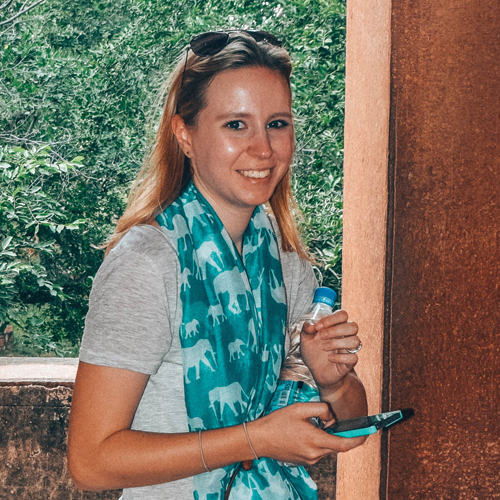 As we wandered in search of lunch, we were surprised to see the only places with lines out the door were chain restaurants we’d been to a million times before. We walked past the queues, feeling smug in the knowledge that Soho was bound to treat us to a hidden gem just around the corner. And again, we were spoilt for choice! 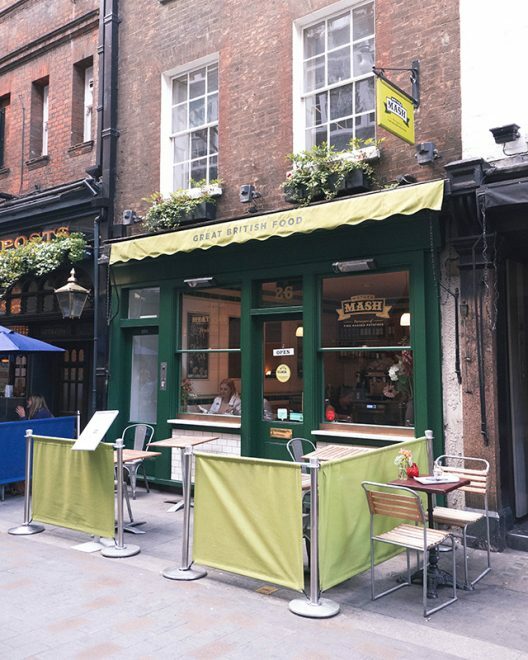 Every tapas bar, Asian restaurant and Italian pizzeria had something we wanted to try, and I was impressed by the choice of vegetarian restaurants too – both Mildred’s and Govinda’s, two of the best vegetarian restaurants in central London, call Soho their home. But, wanting to try some traditional British fare, we eventually settled on MotherMash. 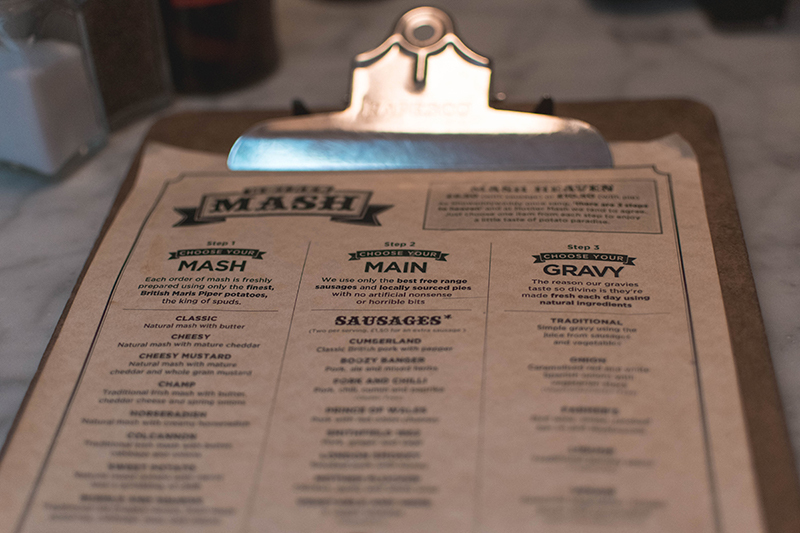 As its name suggests, the humble mashed potato is King at MotherMash. Inside the restaurant, the decor is plain and diners sit in little wooden booths, but that just shows the food is the real star of the show here. The menu allows you to customise your meal – first you choose your mash, then your main (either sausages or pie) and finally your gravy. 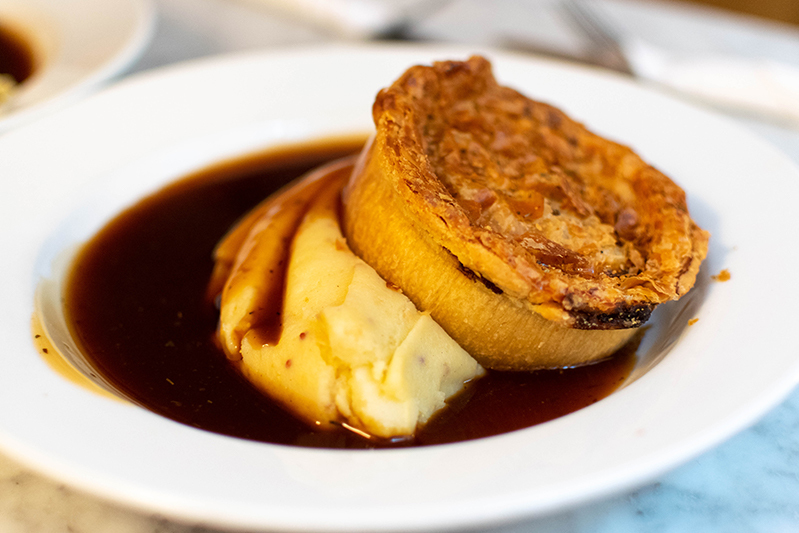 For just £9.50, you get a choice of sausages, mash and gravy, or for just £10.50 you can choose a pie. MotherMash offers incredible value for a great meal in central London. As we walked off our lunch, we decided to head away from the main roads and down into the side streets. 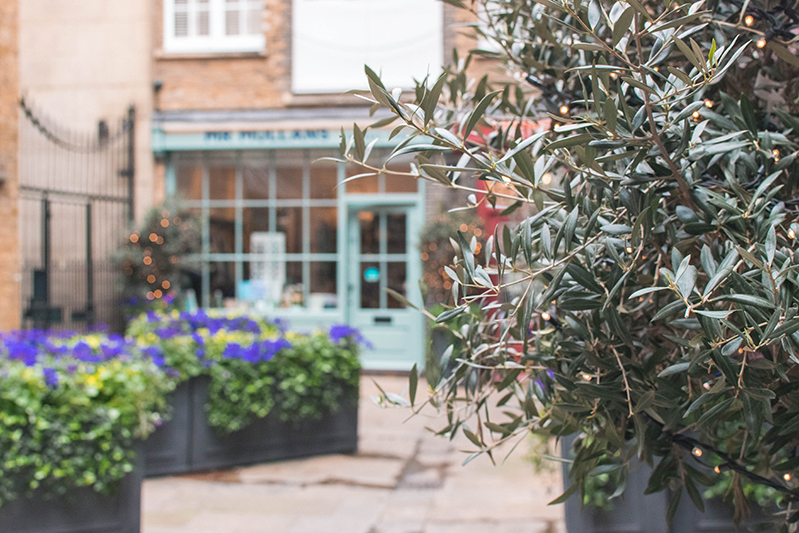 We came across Smiths’ Court, a tiny courtyard surrounded by small independent shops and pretty flower beds. It was another little piece of paradise in central London, and finding little places like this proves there’s so much more to the city than the main tourist trail! By now, we were getting a little thirsty so decided to explore Soho’s pub scene. 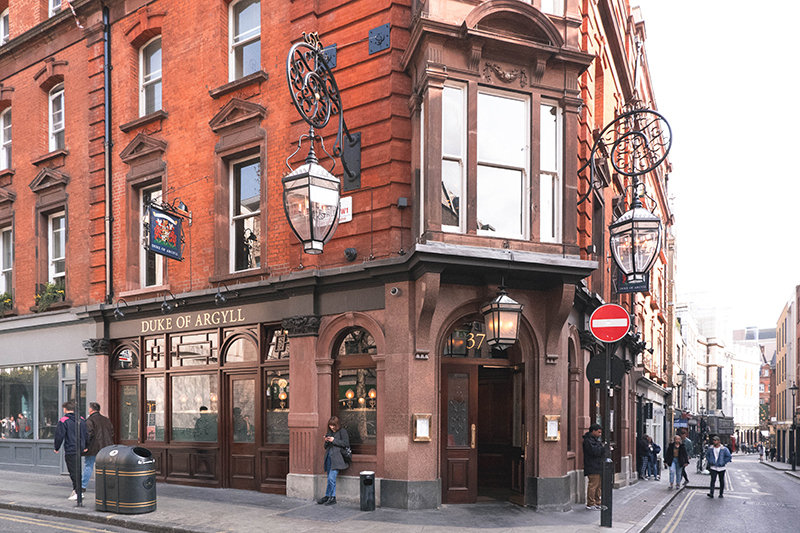 We found The Lyric – a small, traditional British pub serving a huge choice of craft beer and lager, and The Duke of Argyll – a pub with a fascinating layout. Inside, there are walled-off booths where each table has direct access to the central bar. The organic lager served here was delicious, and the food looked good too! 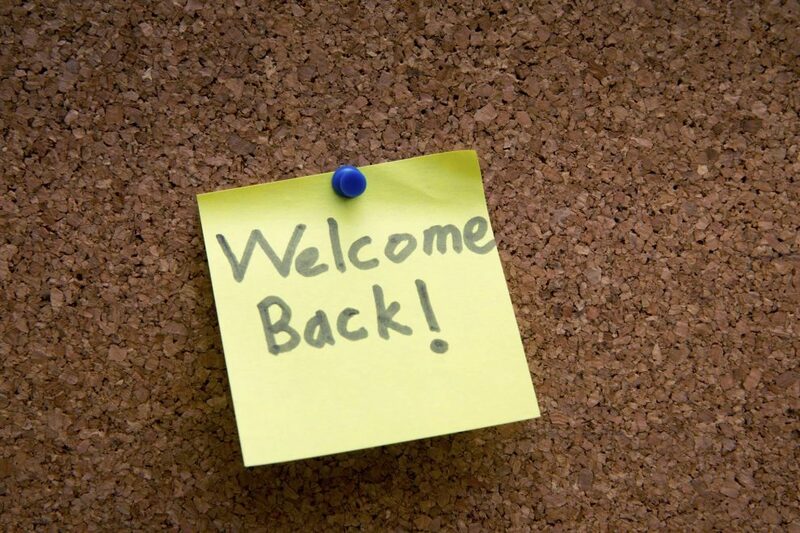 It’s definitely on our list of places to go back to another day. Whatever you’re doing, stop. Now. 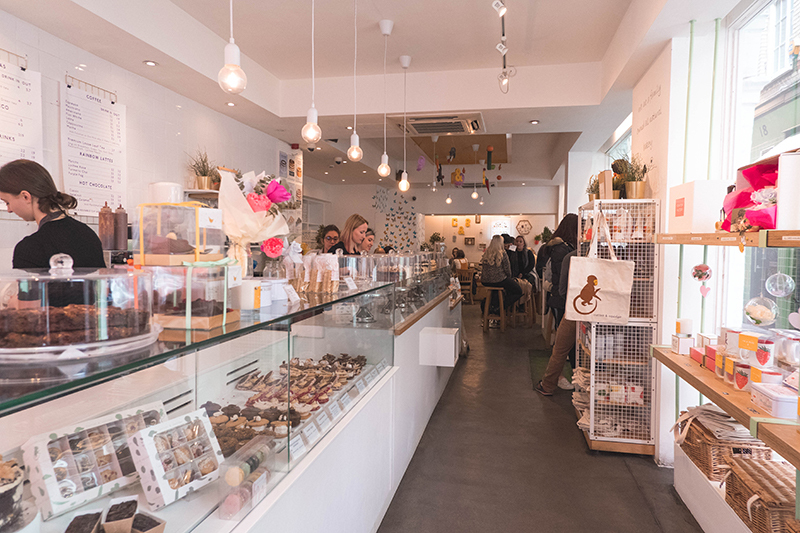 Go to Cutter & Squidge – a modern, luxury bakery that uses only the best natural ingredients. It caught our eye with its window display of mouthwatering cakes, exquisite macarons and their very own creation, biskies: a cookie/cake/biscuit hybrid, filled with all manner of sweet treats. When we arrived, we weren’t even hungry, but by the time we walked to the counter our mouths were watering. 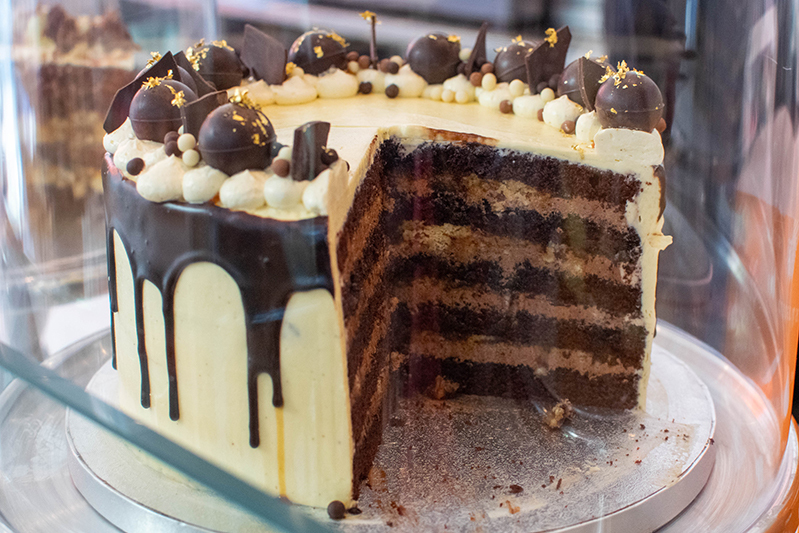 We came away with slices of Choc Chip Cookie Cake and the incredible Billionaire Cake, filled with chocolate sponge, caramel sauce and shortbread pieces. The cakes were insanely good. We decided we didn’t need to eat dinner after that, so with our hearts and bellies full, we bid farewell to Soho, safe in the knowledge that we’d soon be back. There’s still so much to explore. After spending the day in Soho, it quickly became my favourite London neighbourhood. Yes, it’s dazzling – the sparkling designer stores along Carnaby Street give it this title. It’s certainly a little grimy – the red light district to the south is testament to that. But it’s this clash that makes Soho wonderful. Thanks for the quote, David Tennant, I couldn’t have said it better myself. Disclaimer: The spending money for my trip to Soho was gifted by Hotels.com, but all views are my own.